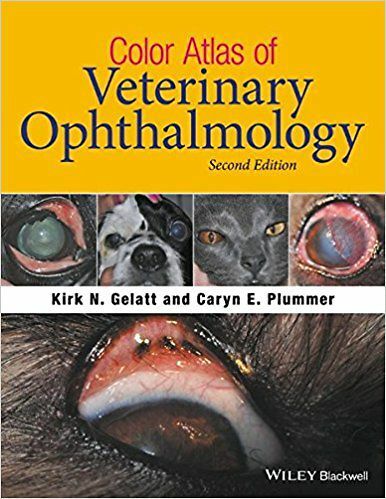 Color Atlas of Veterinary Ophthalmology, Second Edition provides a compendium of the clinical appearance of ophthalmic diseases likely to be encountered in small, large, or exotic animal practice. Most diseases are depicted across multiple photographs, showing varying stages and the alterations caused by medical or surgical therapies. With more than 1,000 images and two new chapters, this Second Edition offers a significant expansion of content and presents a complete resource for veterinary clinical ophthalmology. Each chapter covers congenital or developmental disease, inflammatory disorders, traumatic injuries, degenerative disease, and neoplasia. For each condition depicted, the text discusses the clinical history, the clinical signs and findings associated with the disease, the rule-outs or differential diagnoses, the recommended treatment, and the prognosis. 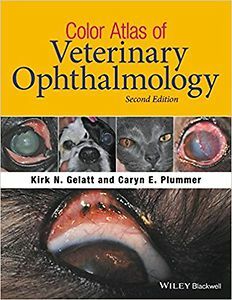 Color Atlas of Veterinary Ophthalmology is an essential reference for practitioners treating conditions of the animal eye.